The Wynn and Encore is regarded as one of if not the best resorts and casinos on the Las Vegas strip. 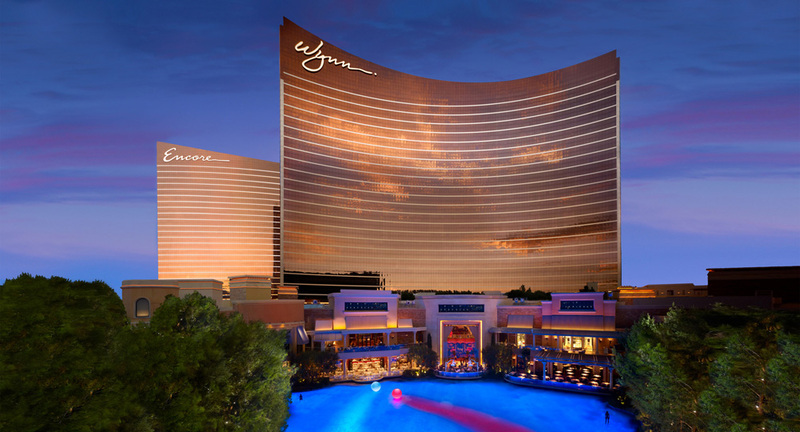 Developed by the billionaire casino tycoon Steve Wynn, it’s the same person who developed the Mirage, the Bellagio and Treasure Island hotels in Las Vegas. Steve Wynn spent close to $3 billion to create the Wynn, a five star Las Vegas resort which is unlike anything else. It is located on the north end of the Las Vegas strip within close proximity to the Las Vegas Convention Center and the University of Nevada-Las Vegas. The Wynn features 2,716 luxurious hotel rooms and suites, a 110,000-square foot casino that also has a sports book, as well as restaurants, two main pools, a spa/salon, and numerous shops along the Wynn Esplanade. The nightly entertainment includes the very popular Le Reve aquatic and Lake of Dreams waterfall shows. Encore, which is another beautiful resort in the Wynn empire, is located immediately adjacent to the existing resort. It is connect to the Wynn by a shopping arcade and features 2,034 suites, has its own 74,000-square foot casino, 5 restaurants, 7 bars, 2 nightclubs (Encore Beach Club which becomes Surrender Nightclub at night and XS Nightclub), as well as a spa and salon for those who wish to kickback and relax. As soon as you enter the Wynn Las Vegas you are welcomed by the absolutely stunning decor which is decorated in bright colourful and striking patterns and colors to instantly put you in a great mood. You can’t help but notice all of the bars and restaurants that become very lively at night time and offer a really great ambience and some of the most amazing food you will experience in Las Vegas. It’s clear that the Wynn Las Vegas is going after the high end luxury market as you will find designer boutique shops, spas, business facilities that cater to guests looking for business and pleasure, and a golf course which is the only one attached to a resort on the strip. There is even a luxury car dealership for those who are looking to buy a Ferrari or Maserati or just an enthusiast wanting to get up close and personal with the ultimate display of sports cars! The rooms at Wynn offer some of the most impressive views you will get anywhere in Las Vegas. For the best views of the strip you should request to get a room in the south side of the hotel. Each of the 2,700 guest rooms and suites are elegantly styled and very spacious, all with extremely comfortable and cozy king size beds that have ultra soft 310-count Egyptian cotton sheets and a high padded headboard. All rooms have flat screen LCD high-definition TVs and high speed Internet access, and there are stocked mini-fridges with nibblies like potato chips, popcorn and alcohol, which is convenient. Gym facilities are very clean and spacious and there is plenty of gym equipment available to use although there is an additional fee to use the fitness center. Wynn’s main pool area is absolutely stunning and shaped like a dumbbell with two large oval pools on either end if you want to go for a leisurely swim as well as a long narrow passage between the 2 oval sections for those who just want to swim laps. All Tower Suite guests will have access to their own private pools. Weather permitting there are also outdoor blackjack tables at the Cabana Bar and Casino as well as at Wynn’s sister resort Encore, which offers blackjack at its XS Pool. As one of the most advanced land-based casinos in the world, the Wynn casino is one of the only Vegas casinos to be completely coin-free. Wynn’s casino chips are made by Shuffle Master and incorporate RFID technology, meaning they can be tracked and electronically authenticated. Wynn casino’s floor houses more than 1,900 coinless slot machines. Steve Wynn even has his own slot called Wynn Megabuck, which features a spinning reel and $10 million progressive jackpot that has been won before. Wynn Signature Series slot machines are also a favorite with slots players at Wynn and have big jackpots to win. In addition to slots, you’ll find the full compliment of fun to play table casino games, including Blackjack, Baccarat, Caribbean Stud, Craps, Roulette, Let It Ride, Pai Gow Poker, Three Card Poker and Casino War. The Wynn Las Vegas is one of the premier casinos on the Las Vegas strip and their poker room is no exception. Wynn’s elegant poker room features 26 poker tables and was clearly designed with comfort in mind. There is a variety of games and limits for all levels of play, including No Limit and Limit Hold’em, Omaha Hi-Lo, Pot Limit Omaha, Seven-Card Stud and sometimes even mixed games. The No Limit tables spread are $1/$3, $2/$5, $5/$10, $15/$30, $30/$60, and $100/$200. A new table will start upon request if there is enough interest. The Wynn Poker Room hosts daily NL Hold’em tournaments at noon from Monday through Thursday. The buy-in for the daily noon tournament is $140. Players start with 10,000 chips and there are 30-minute levels so players get to play a decent amount of poker. This daily no limit hold’em tournament usually attracts around 40 players and the top 10% of players get paid. There’s also higher buy-in NLH tourneys throughout the week. In addition to the daily tournament schedule, the Wynn Poker Room hosts the Wynn Classic and Wynn Fall Classic in March and October every year, which always attracts lots of well known professional poker players. The Wynn is undoubtedly one of the finest and most elegant casinos in Las Vegas! The resort and casino at the Wynn offers everything guests need. There is an incredible range of facilities and services at the hotel to ensure that all guests have a relaxing and enjoyable stay. All the restaurants and bars are amazing and after eating and drinking out, Wynn guests should check out some of the magical nightly music and light water shows which are put on for the benefit of visitors. If this is not your style, then you can relax in the swimming pools or pamper yourself in the hotel spa and salon.